2 team will qualify on the quarterfinals / second round from group stage. The last pool or poll D team is below. France is 3 times finalist and 3 time semifinalist. Other hand Ireland have also is some good position from last few years. France is 3 time finalist but they were not enough to won the title all of 3 times. They are currently on 7th at IRB ranking. 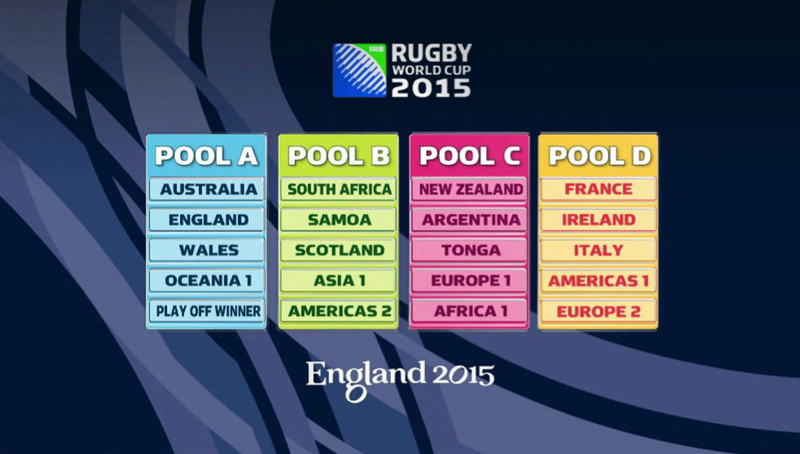 France played first on finals at first world cup at Australia & New Zealand. There second final was at Wales on 1999 and they are current runner ups. Last world cup they lost against New Zealand at New Zealand. Ireland is current world no.6. Irish rugby union have played all 7 world cup event so far and they have reached in quarterfinals every times. But was not enough to play at semifinals or final for single times. On previous ranking at May, Ireland was 4th on the ranking. Italy is a big name on International football but on rugby they are currently on 17th. Though Italy so far played all world cup but they can never qualify them at 2nd round from pool stage. Only on 2003, 2007 and 2011 they have 2 victory on poll stage each time. Canada was 1991 quarter finalist, as they have all 7 attendance on Rugby World Cup so far. On their first world cup attendance 1987, they had only a victory on group stage. Currently world no 18th and this is their lowest ranking in their history so far. And after 1991 Canada can never qualify them at quarter finals so far. Romania have also all 7 world cup event attendance so far. On their first appearances 1987 they have one victory on pool stage, except 1995 and 2011Romania have one victory on pool stage every event. Romania is the 17th team on world rugby at that moment with 66.28 points.